Video surveillance has long been a key piece of physical security but thanks to new technological improvements, the capabilities of these systems have improved drastically. Video surveillance is smarter, more efficient, and more cost-effective than ever, making it a necessity for any business or organization that wants to ensure the safety of its employees and clients. Learn more about the technology advances that are changing the world of video surveillance in today’s blog, below. Video surveillance has come a long way. Video surveillance systems of the past were hampered in their ability to gather a full range of information as they typically only captured a narrow field of view from a single, static point. Advances in camera technology now offer a range of solutions to provide enhanced situational awareness by implementing design features such as digital pan/tilt/zoom, functionality for both day and night, and smart video analytics. The heightened intelligence of today’s generations of cameras even allows cameras to detect the difference between motion that should trigger an alarm and small, repetitive motions that are harmless. Advances in technology allow new video surveillance systems to capture information even in less-than-desirable conditions that previous models never would be able to match. For instance, today’s generations of cameras allow superior image capturing in low light situations and can compensate for backlight, creating a more effective solution for outdoor surveillance and low-lit indoor situations such as entryways and stairwells. Hybrid technology allows upgrades to existing video surveillance systems that are outdated yet still functional. New 1280H analog cameras deliver superior image capturing capabilities even in adverse weather and lighting conditions and require no new wiring to be installed. One of the greatest benefits of recent advances in video surveillance technology is their ability to be easily integrated with software that can be customized to serve the unique needs of your organization. Cameras equipped with an open platform framework allow systems managers to install any number of apps directly into the camera, providing a customized security solution in an easily implemented format at an affordable price. 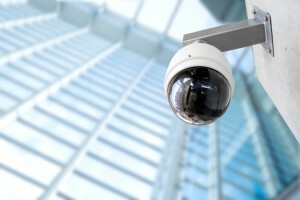 If your video surveillance system has not been upgraded in decades, now is the time to look into what’s on the market. This entry was posted on Thursday, November 19th, 2015 at 9:26 am. Both comments and pings are currently closed.